I wanted to say that I have always held Edyie in high regards and know how hard she works at building relationships with her clients. You can tell she cares about all persons involved in the sale and purchase of a home and that she goes the extra mile in meeting client’s needs. Edyie is more than an excellent realtor; she is a trusted friend, a great community leader, and a great volunteer for the many causes here in Dixon. I know that you are proud to have Edyie on your team at Sauk Valley Properties and I would second that sentiment. Please feel free to share this email with Edyie and also on your website if needed. You have an excellent operations and in my opinion the best real-estate business in the region. Thank you for all that you and your team do for Dixon! Keep up the great work! Kudos to Beth Wilson for making our dreams come true! Beth assisted us with the whole sequence of buying a home. She guided us step by step through the progression of qualifying and obtaining a loan. She listened intently on what we were looking for, what are needs/wants were, along with always having our best interest at hand. Beth was very patient with us as we looked through many houses to find the right home for us. Her attention to detail and specifications led us to finding our new home! She didn’t stop there, as she guided us through the closure process. We will be forever grateful for Beth and her office staff. 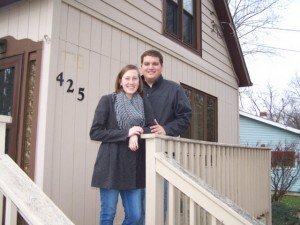 When setting out to buy our first home, Hilaree and I were nervous, excited, and scared. We had no idea what to expect and were prepared for a long, stressful few months. However, Edyie was a great help from the beginning. She was always by our side answering questions and willing to help in any way that we needed. Any stress we expected from the process was alleviated by her guidance and patience. 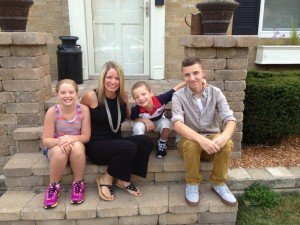 We are very fortunate to have worked with an agent like Edyie and if we embark on the home buying adventures again, we will be sure to have her as our realtor. We never thought it was possible to own a home. 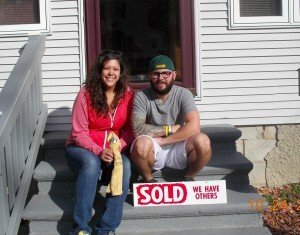 Now, with Shawney Evans & Don Lovett with Sauk Valley Banks help, we are homeowners! We were guided through the loan process, finding the one and closing. Shawney was always ready to answer any questions, show us any home that we asked and she was very knowledgeable on what a home could offer. She listened to what we wanted and out did herself when we found the one. Shawney was ALWAYS available when we had any questions and she was patient with us when we just wanted to see that house one more time. We are more that happy, we are thrilled with our choices of who we worked with and the home we now own. 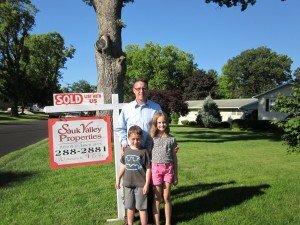 Thank you Shawney Evans and Sauk Valley Properties! Selling our two houses and buying our new house was made a wonderful experience thanks to our Realtor/Broker Edyie Madden. She was quick to answer any questions we had and if she didn’t have the answer herself went out of her way to find out for us. She always stayed in touch letting us know how things were going and she always had a smile. She worked hard finding all the things we were looking for in a home and made our new home our dream home! Thank you Edyie for a job well done! I have known Beth Wilson for over 8 years. During those 8 years Beth has helped me on several real estate purchases and sales. When I originally re-located to the Dixon area I was nervous about who to choose when it came to representing my interests. I found out quickly that Beth has got to be the most knowledgeable real estate person in the Sauk Valley market. I found working with her a joy and felt like she was there to help my family and I during every step of the processes. She emanates a sense of trustworthiness that makes you feel very secure during what is without a doubt a very involved and some time stressful process! Beth is a true professional in every sense of the word, and puts her clients interests far above her own. I would be very happy to give Beth my highest recommendation for anyone desiring to sell their property or buy one. Her in depth KNOW HOW and the numerous professional and personal contacts in the business, places her in an enviable position from where she can take advantage of opportunities for her clients which other realtors can only dream about.